After taking a poll last week to determine which day most of my readers would like to read more of Dear Madame, I decided to go with Friday. It was suggested most often as the best day to read a serial novel installment and it was my first choice too. I’m working on Chapter 2 now and will have it up later today. If you haven’t read the first chapter, you may want have a look here, so this next one makes sense. Update: Sorry to miss my deadline, but I’ve had some issues that have kept me from my desk much of today leaving the installment unfinished. Look for the update on Sunday and I promise to deliver. 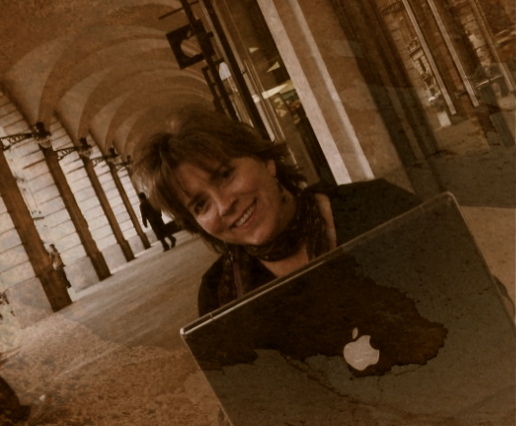 This entry was posted in Bloggers, Books, Choices, One Word - Encourage, Work, Writing and tagged Apple Store Covent Garden, Dear Madame, Elizabeth Harper, Free Wifi London, Gifts Of The Journey, London Apple Store, Serial Novel, Story Telling In Installments. Bookmark the permalink. Okay. I’ll be back on Sunday.